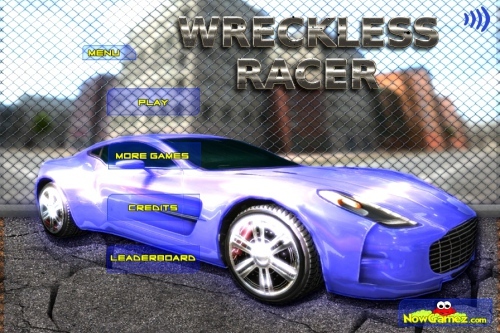 Description Wreckless Racer is now available as a brand new Unity 3d racing vs shooting game. This game has really stunning graphics. You can choose between different vehicles like a Mustang, Porsche, Audi or a Jaguar. There are also different tracks you can choose from. All you have to do is collecting money and win the race. You can upgrade your vehicle or buy a Rocket Launcher to win more and buy more. With the Rocket Launcher you can destroy your opponents which gives this game a fourth dimension. Have fun and enjoy with this new NowGamez game! Controls Use arrow keys to drive the car. Use space bar to use the rocket launcher.